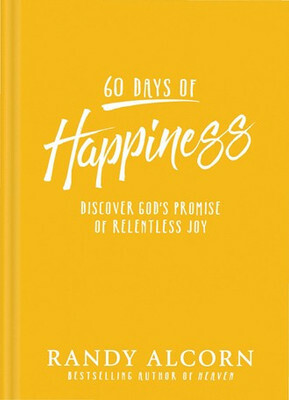 Here are 90 daily reflections dealing with virtually every aspect of the single biggest question that blocks people’s faith in God: If God is good, why is there so much evil and suffering? 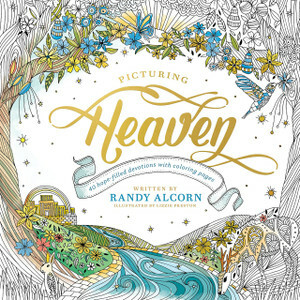 Randy Alcorn offers faith-building encouragement and comfort from God’s goodness. (purchase) Also available on audio CDs. 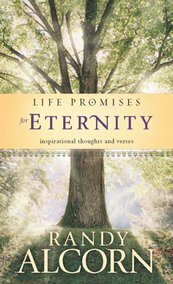 Life Promises for Eternity provides readers with more than 100 brief, inspirational readings on the topic of Heaven and the New Earth. 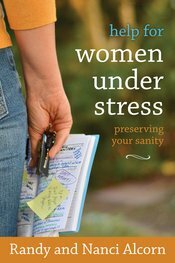 Each reading is coupled with a trio of complementary Bible verses. A beautifully designed two-color, padded gift book with a ribbon bookmark. (purchase) Also available on audio CDs. Randy Alcorn has compiled the most profound spiritual insights on the topic of eternity from Spurgeon's sermons and arranged them into an easily-accessible, highly inspirational format complete with his own comments and devotional thoughts. (purchase) Also available on audio CDs.